Hi Everyone! My name is Deidre Ritsche and I am incredibly passionate about the Windsor Essex-County community. I created this blog as a platform to connect all of my favourite local people, places and things – I hope you enjoy it! I’m back in Windsor after almost 10 years of working throughout Canada, the US and Europe. All of my experiences thus far have lead to my career in real estate and my commitment to putting this booming region back on the map. I believe, to thrive, we need to cherish our neighbourhoods and nurture our local businesses. So please get out there and explore – let me know who and what you find! Copyright © 2019 Border City Living. 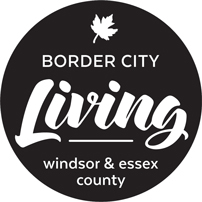 Border City Living - All Right Reserved.